Cal-Duct, Inc. is proud to be certified as a Women’s Business Enterprise through the Women’s Business Enterprise National Council (WBENC). WBENC is the largest third-party certifier of businesses owned, controlled, and operated by women in the United States. WBENC certification is a rigorous, multi-faceted application and review process that includes an in-depth review of the business and site inspection by a trained Certification Review Committee.The certification process is designed to confirm the business is at least 51% owned, operated and controlled by a woman or women. WBENC’s world-class certification is accepted by more than 1,000 corporations representing America’s most prestigious brands, in addition to many states, cities and other entities. Cal-Duct, Inc. is required to resubmit documentation to maintain their WBE status on an annual basis. Cal-Duct, Inc. is an approved supplier certified by the Supplier Clearinghouse. The Supplier Clearinghouse is a commission-supervised entity whose primary purpose is to audit and verify the status of woman and minority owned businesses and to establish and maintain a database of woman, minority, and service disabled veteran owned businesses that is accessible to the California Public Utilities Commission and to participating utilities. California Public Utilities Commission (CPUC) requires utility companies with gross annual revenues in excess of $25 million and their regulated subsidiaries and affiliates to develop and implement programs to increase the utilization of woman and minority owned businesses. This audit and verification program precludes the need for individual utilities to audit and verify woman and minority owned businesses with whom they do business. By being certified, Cal-Duct, Inc. is able to demonstrate with clear and convincing evidence that a woman/women unconditionally own and controls 51% of the applicant concern and are responsible for the day-to-day as well as major decisions on matters of management, policy, and operations. The Supplier Clearinghouse certification is valid for three years. 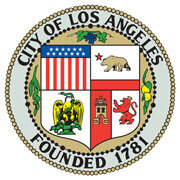 The City of Los Angeles recognizes Cal-Duct, Inc. as a certified WBE. © 2017 Copyright Cal-Duct, Inc. All Rights Reserved. By Websites Makeover | Web Design | SEO.